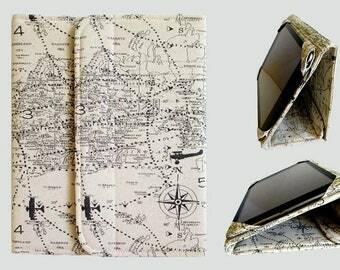 Announcement *FAST TURNAROUND TIME* Handcrafted covers for iPad, Kindle, Kobo, MacBook, Surface & more! 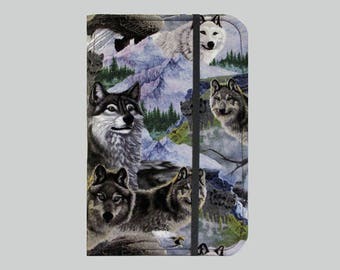 I specialize in eReader, tablet and laptop covers. My hardcovers feel sturdy while holding, yet are slim, lightweight, soft, durable and very comfortable to use with your favorite device. My softcover sleeves are perfect for laptops and tablets. I want you to be completely happy with your purchase from my shop! Every cover comes with my money back guarantee. If you are not 100% satisfied with your cover, ship it back to me within 30 days after you receive it for a full refund including your initial shipping cost. Buyer is responsible for return shipping. *Current turnaround time is 3-5 business days before shipping. 2 day rush order is available if you need your cover faster! Each cover is custom made for an exact fit in my smoke free and pet free studio. All of my covers are lovingly handcrafted to protect your favorite device and do it with comfort and style! I use only the highest quality fabrics, and you will love the impeccable attention to detail on your new cover. 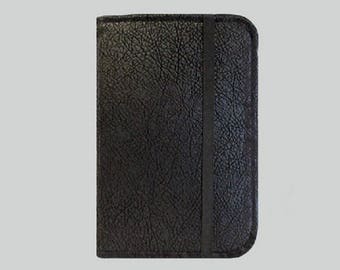 If you are looking for a high quality and unique cover for your iPad, eReader or tablet, you have come to the right place! 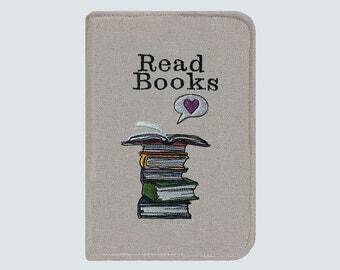 My hardcovers keep your favorite device safe and make it much more fun and comfortable to use. You can order any cover in my shop to be made with any fabric you see in the shop! Simply order the cover style you want, then specify your desired fabric in "Note to Seller" at checkout. Fabric name is at the end of each listing title. 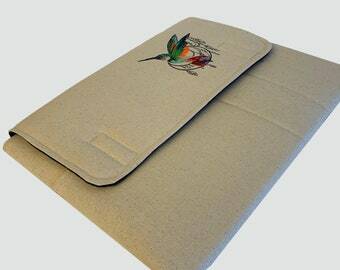 My softcover laptop and tablet covers wrap your favorite laptop or tablet in a soft, slim and secure sleeve. 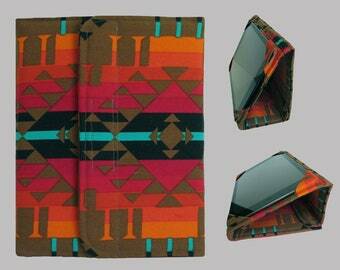 My unique design features 3 pockets and a full flap closure that is ideal for great protection and style. Have questions? I always try to answer conversations immediately! 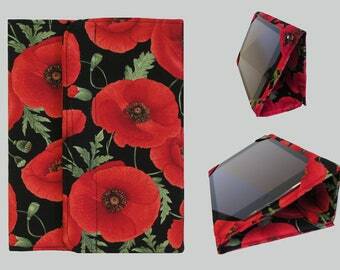 *FAST TURNAROUND TIME* Handcrafted covers for iPad, Kindle, Kobo, MacBook, Surface & more! 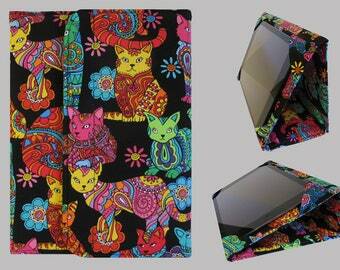 I specialize in eReader, tablet and laptop covers. My hardcovers feel sturdy while holding, yet are slim, lightweight, soft, durable and very comfortable to use with your favorite device. 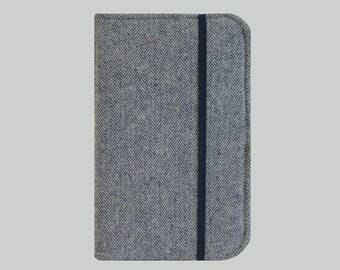 My softcover sleeves are perfect for laptops and tablets. Love it! I like how it is hands-free with the way it folds back and velcroes together. The outside cover is sturdy and the ipad is secure and protected. It doesn't have a place for the camera (which I knew already) but that's ok as I never use it to take pictures or videos. Finished covers ready to see the World! Thanks for taking the time to learn more about my shop! I live in sunny Scottsdale, Arizona and work out of my back yard studio. I am so grateful to do something that I love and make others happy too. I have been sewing since I was 6 years old. I made a lot of my clothes and even made my wedding dress back in 1983. Creating nice things and working with fabric has always made me happy. Over the years I got an iPad, eReader and tablet computer. I soon realized that these fun devices were not very comfortable to hold and use without some sort of case. I bought several cases from various stores, but these mass produced cases only helped a bit. I knew there had to be a better way. Using my sewing skills, I went to work! After many designs and testing, I had cases and covers that made me happy. I wanted a hardcover style so they didn't feel too floppy and flimsy. My new covers felt sturdy while holding, yet were slim, lightweight, soft, durable and very comfortable to use. 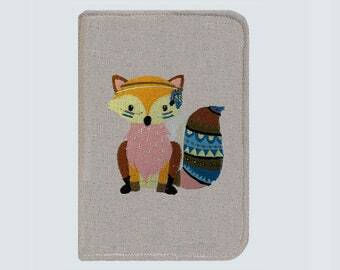 I also designed softcover laptop and tablet covers for MacBook, Surface and more. Now it was time to share my creations with the World! 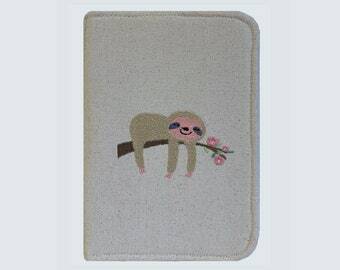 Etsy was the perfect place to sell my handcrafted covers. Several years later and over 13,500 sales, I think others like my covers too! My daughter Laura now helps me design and make covers. If you love your electronic device and want a really comfy cover, browse my shop and see if there is something you like. We'll make one just for you! 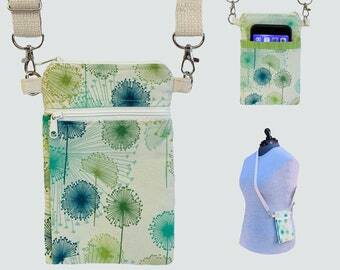 I love sewing and my electronic devices. My mission is to keep your iPad, eReader, tablet or laptop safe and make it more fun and comfortable to use! I love making things that people all over the World are using and enjoying. Happy customers make me happy! Yes! I want you to be completely happy with your purchase from my shop. Every cover comes with my money back guarantee. If you are not 100% satisfied with your cover, ship it back to me within 30 days after you receive it for a full refund including your initial shipping cost. Buyer is responsible for return shipping.